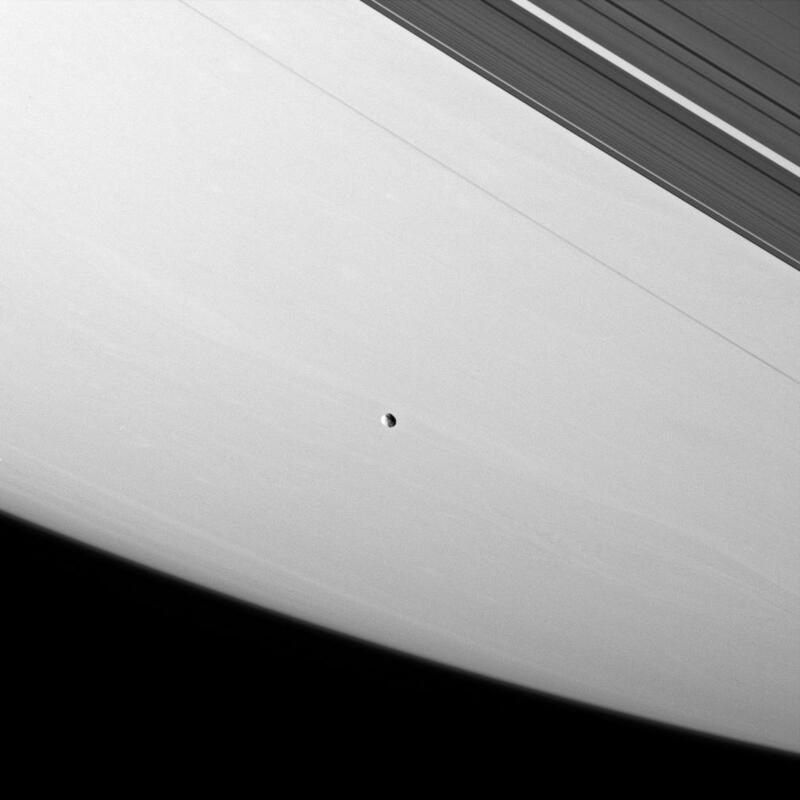 Janus floats above the meandering clouds of Saturn. A few of the large craters on the moon are just visible. This view looks toward the unilluminated side of the rings from about 18 degrees above the ringplane. Saturn's narrow F ring and outer A ring are pictured in the upper right. Janus is 181 kilometers (113 miles) across. The image was taken in visible light with the Cassini spacecraft narrow-angle camera on April 13, 2007 at a distance of approximately 1.7 million kilometers (1 million miles) from Janus. Image scale is 10 kilometers (6 miles) per pixel.